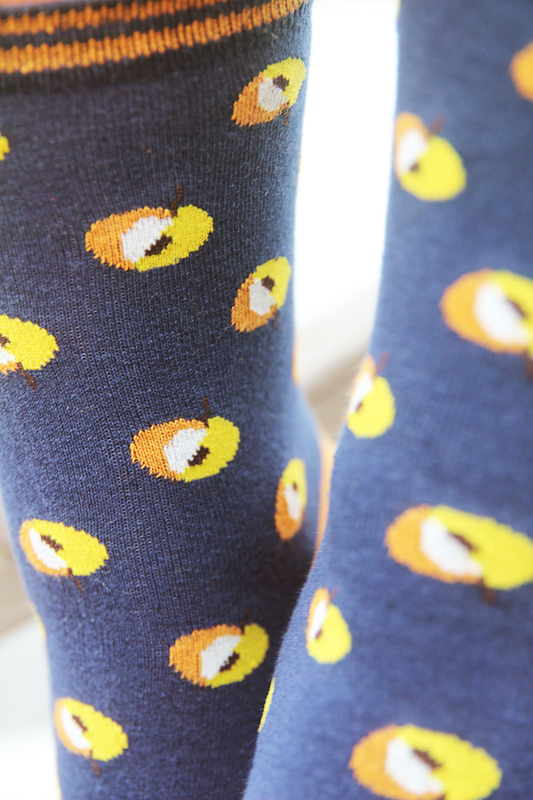 Dried apricots, almost as good as candy and much healthier! 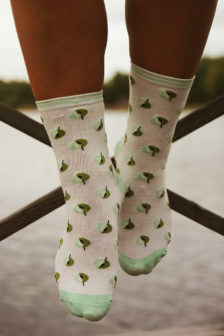 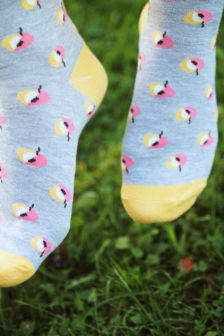 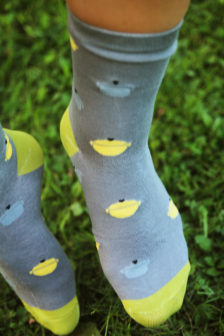 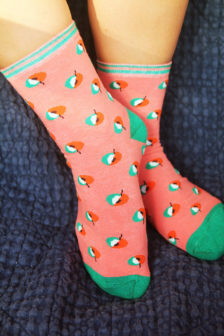 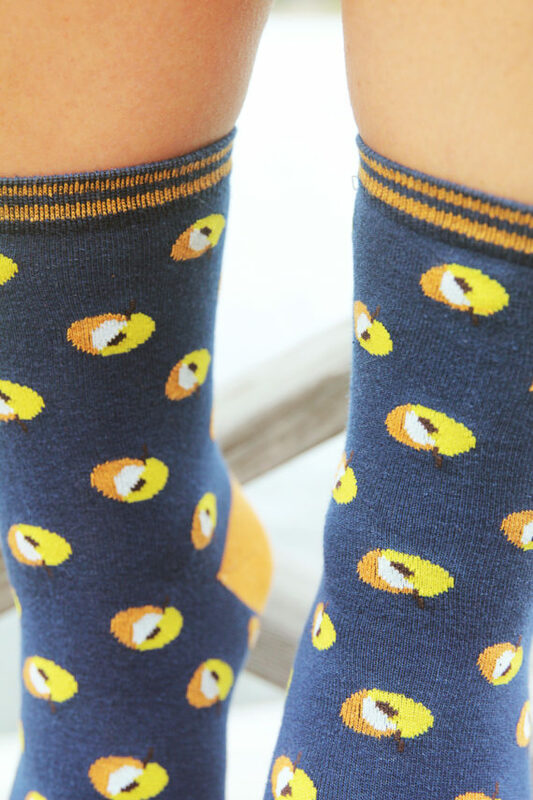 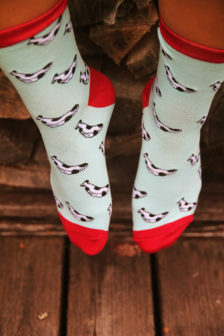 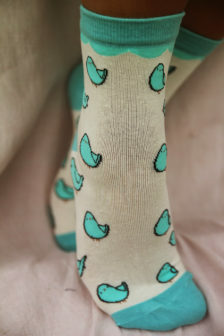 This is a pair of socks with small apricots on. 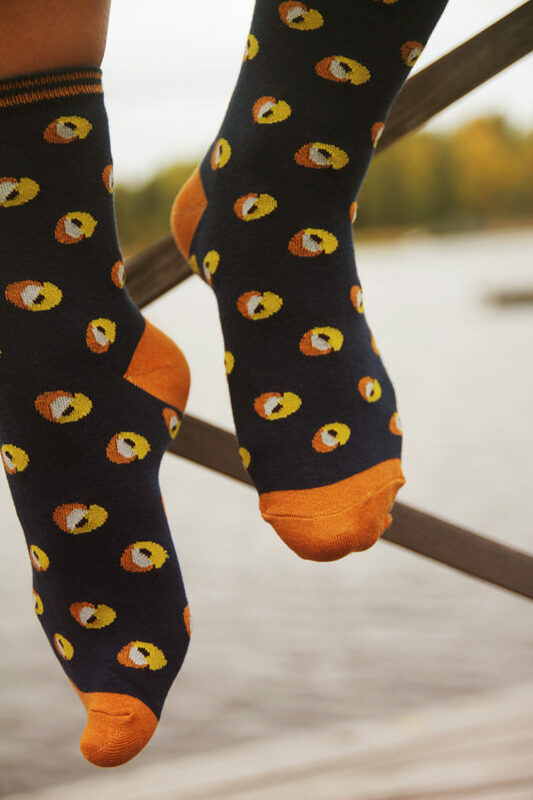 We love apricots and we love these beauties.